Kale holds a special place in my heart, as it was one of the only plants that could survive a hard frost while I was living in Northern Alberta. I also like how “wild” it is in comparison to other vegetables. Kale is thought to be similar to pre-agriculture wild cabbage plants, and is also referred to as “leaf cabbage”. 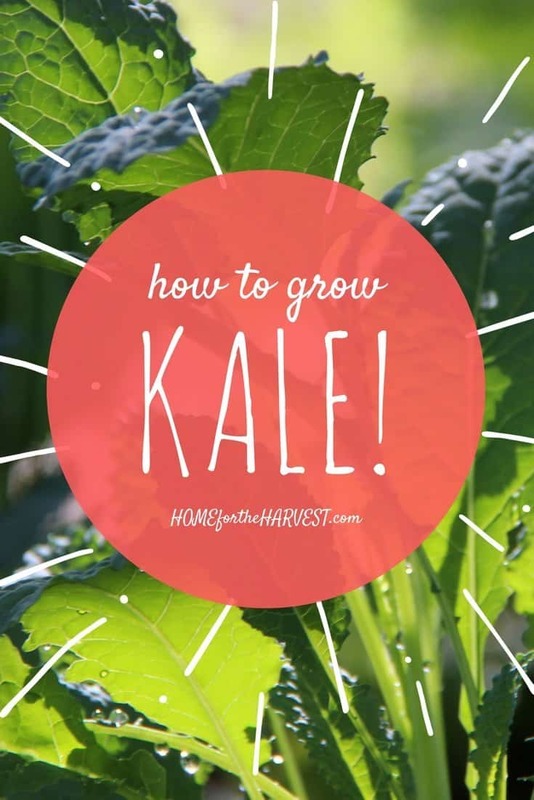 Luckily kale is one of the easiest vegetables to grow at home! 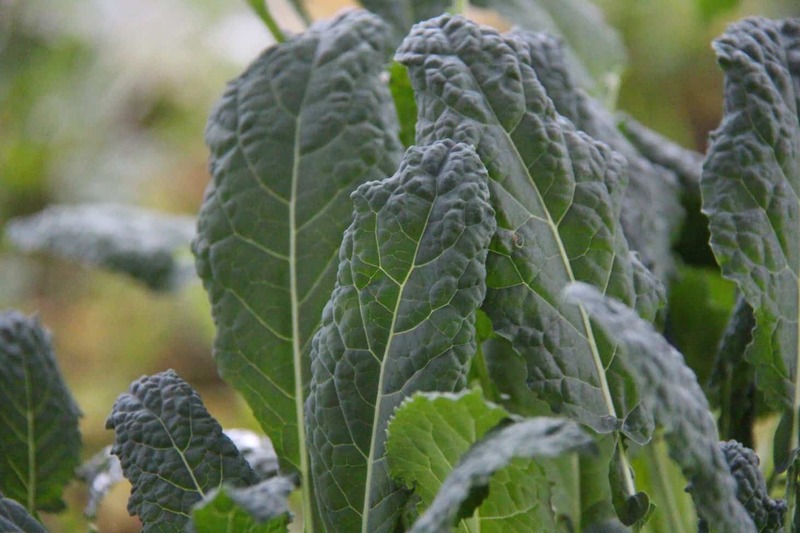 Tuscan Kale – Lacinato: A dark, narrow leaf variety with a dimpled surface. 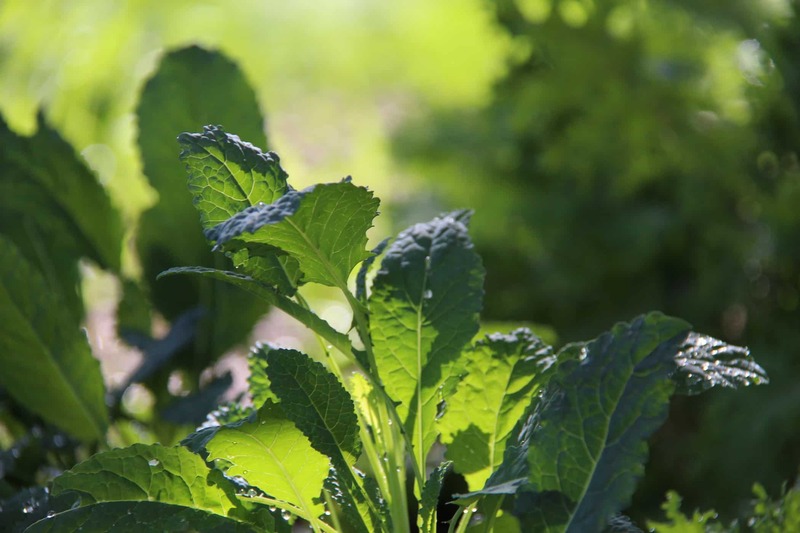 Also referred to as “Dinosaur Kale”, this plant makes a lovely ornamental plant, and is the best salad kale. The smoother texture, delicate flavour, and dark green colour make this kale delicious fresh, all by itself. It is also lovely in soups. Lacinato Kale Seeds can be found online. Scotch Kale – Dwarf Blue Curled: A frilly-leaved dark variety most similar in appearance to average grocery store baby kale. Curly kale is the best type for making kale chips, and is also a favourite for adding to smoothies. The compact size makes these plants well-suited to urban gardening. Scotch Kale Seeds can be found online. I grow both Tuscan and Scotch Kale each year. I freeze big batches of both types for later use in soups and smoothies. 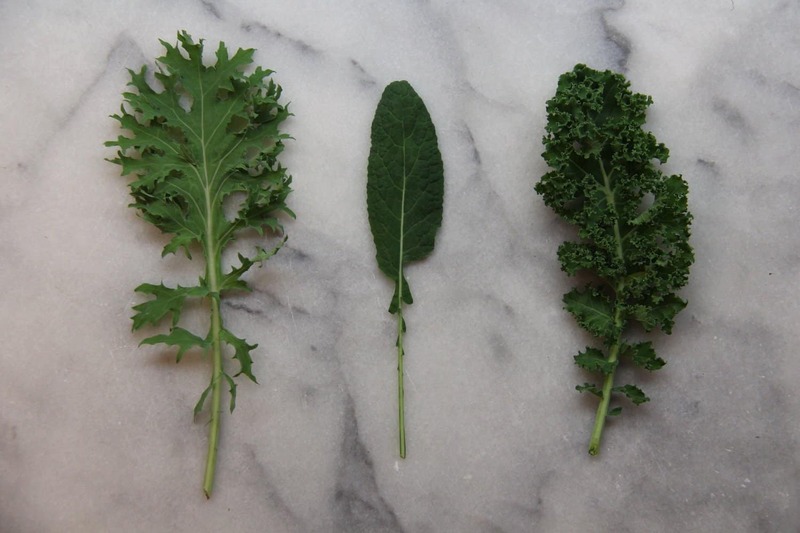 The photo below shows the three kinds of kale I grew last year: Russian Kale, Lacinato Kale, and Dwarf Scotch Blue Curled Kale. Learning how to grow organic kale has a lot to do with deciding when to plant it. Kale is a hardy plant which grows best in the spring and fall rather than in the heat of the summer. It doesn’t love a lot of direct sun or high temperatures. For this reason, plant your kale in the spring as the soil begins to warm up. A second crop can be planted in late summer for fall harvest. Plant kale in an area which receives around 6 hours of sunlight per day. Morning sun is preferable to afternoon sun, as the hot afternoon sun can scorch the plants on a hot day. Kale will grow well in a flat-earth garden or raised bed, and can also be grown in a container. Decide how many kale plants you would like to grow. Measure out two seeds for every kale plant you’d like to grow, just in case some do not germinate, are not strong, or are attacked by pests. Place the seeds in the cup and soak them in filtered water of 4-8 hours. Clear the planting area of debris such as fallen leaves and dead plants. Sow seeds ½ inch deep, about 6 inches apart. Kale can be planted in squares or patches rather than in rows if you like. Ensure you can reach the centre of the kale patch without stepping in the planted area. Stepping in the area will compress the soil, which is not good for the roots of the plants. If you live in a dry climate, you may wish to plant your kale seeds in small basins, mounding a ring of raised soil around each plant or the group of plants. Planting the kale seeds in a depression will trap water, making best use of your valuable water resources. Water the kale each time the soil dries out and rain is not expected. Keeping the soil moist is especially important when the plants are still quite young. The moisture will help the seeds germinate and become established. Harvest mature leaves starting with those at the base or bottom of the plant. Full size leaves may be as big as your hand. Baby leaves from the inside of the plant can be harvested for a special treat, but should not be continuously harvested if full-sized leaves will be desired later. Once established, kale will also benefit from a 1″ top dressing of rich homemade organic compost or a thin dressing of worm castings. The nutrients will seep down to the roots and enhance the health of your plants. If your soil requires this type of amendment, apply it after the plants have become established. Have you tried growing kale in the garden? What are your favourite varieties? Share your stories and experiences in the comments section below! While you’re here, why not pick up a copy of your free Garden Planner? Download your planner using the form below, or read more about it here. Kale is something I wanted to add to my garden this year. Perfect timing. I love kale, but have never had much luck growing it. Definitely need to try again this year – i’ts one of my favorite veggies. I am totally pinning this. My kale died last year before I could enjoy it. Really love this blog! I’ve never grown kale but want to try this year – will have to pin this. The curly variety is the only type I knew about. Glad to know there’s options.